Almost every business owner puts their blood, sweat, and tears into making their business a success. They work long hours and do everything they can to ensure that their business is thriving. Working on your business should not stop at the office, there is a whole digital world that can be taking business away from you without you even realizing it. Most consumers want to be confident in their decision when choosing a business to support. This decision is made with the help of websites, such as yelp, that offer reviews from past customers. When a new consumer is deciding what business to support one bad review online can cost you a new client, which is why reputation management should be a top priority when it comes to your business. Online reviews can make or break whether a company gets more business. If there is one bad review someone may skip your business entirely. With that being said, reviews go a lot farther than just having to be positive. Your reviews should be positive reviews spread over a variety of websites with multiple reviews on each page. This may sound like a lot. but it is worth it in the end. 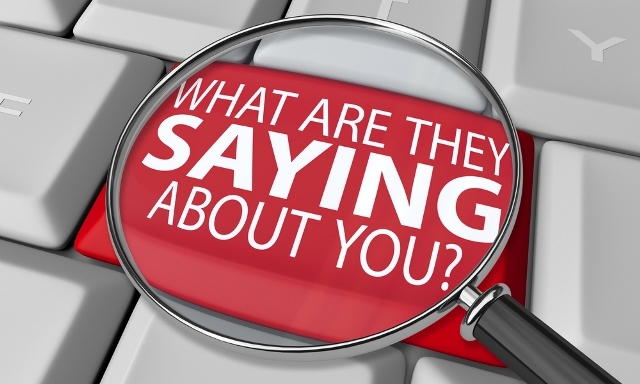 By having your consumers post positive reviews about your company on not just one site but multiple sites you will boost your reputation and legitimacy. If you do come across a bad review, try using it as a way to improve your company. First understand what the review is saying and reply back with a way that you improved on what the person did not like. By doing this you are showing future customers that their needs come first. Where your company ranks on Google and other search engines, is another major factor of reputation management. While reviews are helpful in improving your company’s online ranking, making your website mobile-friendly can also boost a company’s rating. Many people will search for a company while they are on the go, so by keeping your company’s website easy to navigate on a smartphone it will help your company in the future. Starting a blog is another helpful way to boost your company’s rank on Google. Blogs will help your company’s search results and will also help make bad reviews go down the list on search engines. Reputation management can make or break your company. By keeping an eye on what is going on in the digital world you can help your company become more successful. The online world is full of endless possibilities, so make sure to use it to your company’s advantage!